Travel to West Australia and Buenos Aires on this romantic journey. I have found the same goodness in people from all over. 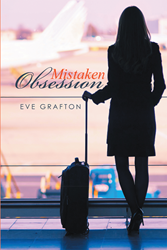 In her new book “Mistaken Obsession”, author Eve Grafton explores travel, romance, and issues of terrorism the world is facing. Follow Bethany Randford as she steps outside her comfort zone and travels from Western Australia to Buenos Aires where she is met by a tall, dark and handsome man she can’t resist. Randford is thrust into a dangerous situation on holiday in Paris that she never could have expected when she returns to visit her family in West Australia for relief before returning to Buenos Aires. Grafton has traveled to Buenos Aires which inspired the theme for her first novel. She has lived in multiple continents and provides readers with a modern romance exploring life experiences from different perspectives. Eve Grafton was born and went to school in Western Australia. She has lived in England, the Middle East, Africa, Fiji, and New Guinea, as well as various Australian cities. With her husband, she has run a small hobby farm for twenty-four years, raising sheep and cattle and making their own wine from the Shiraz and Grenache grapes on the property. She now lives in Perth with her husband, enjoying visits from her three sons and their families. She likes to travel, having completed seven cruises to various places around the world. She visited Buenos Aires, which fascinated her and is the main theme of this, her first novel.